The Jones Center is a certified "Park and Ride" facility for the Razorback Greenway. Located just off the heart of the Greenway, the Center has ample parking for a group ride meetup or even a fun place to start and end a ride with your family. The Center is a trailhead for Dean's Trail, which is a Springdale trail that winds its way from the Center through the east side of town going past various schools and neighborhoods to connect the east side of the city to the Greenway. Our restrooms, water fountains, and recreation space make for ideal amenities for the start and end of your ride, so make us your bicycling destination every time you hop on your bike. 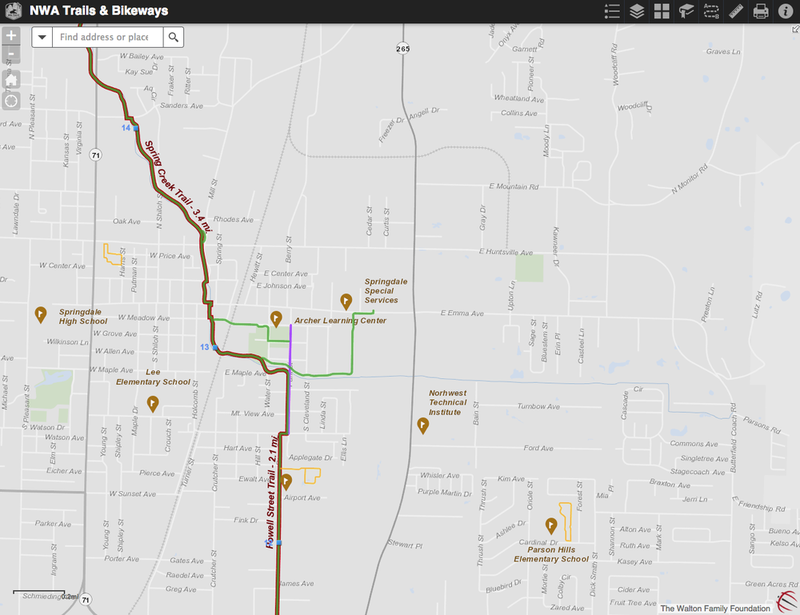 Click to view an updated map of the entire Razorback Greenway. 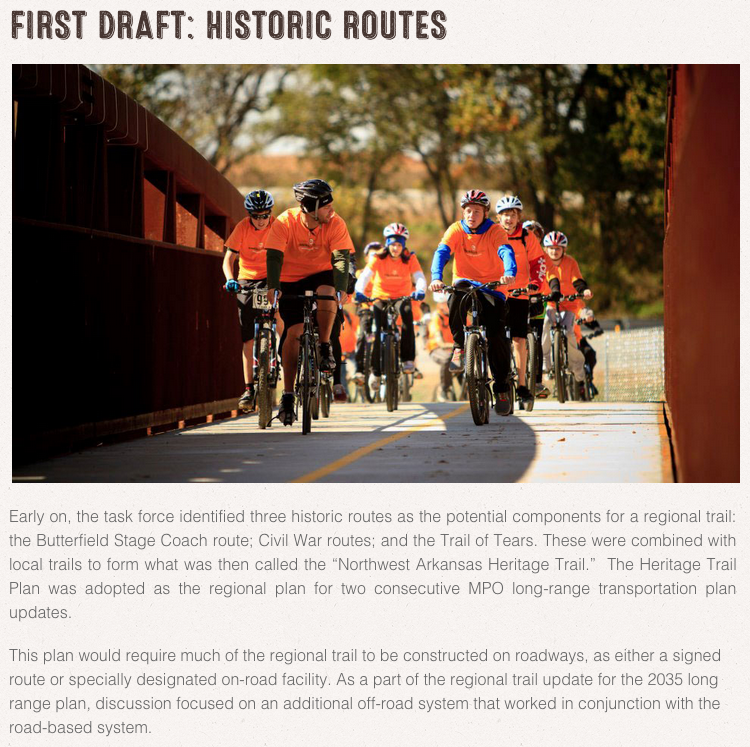 A history of the recently connected Razorback Greenway. Click here to learn more about the NWA trails system. Click here to learn more about Dean's Trail which will go from The Jones Center to the Botanical Garden of the Ozarks.